Paris is one of the most desired travel destinations in the world which will draw you instantly with its charm and intimacy. Although it’s a big city crowded with tourists, its quarters are like small villages inside the city with local shops and culture that were preserved over the years. Paris has plenty of activities to offer and attractions to visit, but the time is usually limited and a good plan is what you need before your trip. 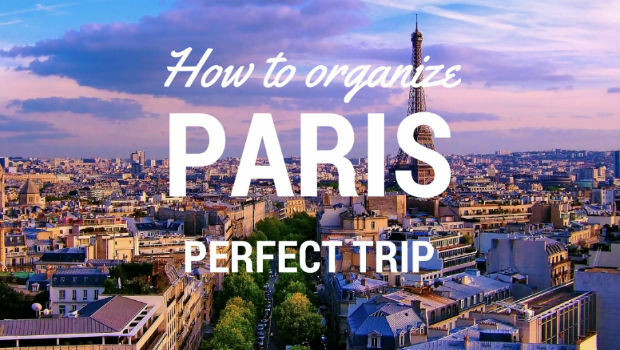 There’s no secret formula how to plan the perfect trip to Paris, but we prepared few tips which may come handy. Booking a flight and hotel are the most important activities when planning a trip. However, many make a mistake and regret later for not making early arrangements for their transfer from the Paris airport to their accommodation. 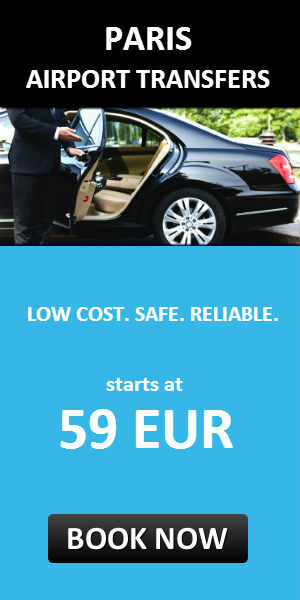 In order to avoid this and save valuable time when you arrive, it’s best to book you Paris airport transfer in advance. You can make the reservation online and the Paris taxi provider will take you directly from the airport to your destination. The price is fixed and varies according to your destination. Whenever you’re visiting a new city it’s important to understand the transportation system and learn how to get around the city. Paris has an extensive and integrated network which includes metro, train, and bus public transport. Fortunately, it is one of the most efficient public networks in the world and the city invests a lot of money every year to improve its quality. The metro is the preferred way of transport in Paris and you can easily get to the main attractions. There are few above-ground lines, like the Line 6 which features a magnificent view of the Eifel Tower. It is best to check the map before your trip or download the official application on your phone. If you’re staying in Paris for a few days, it is recommended to purchase a Paris Visite Pass which allows you unlimited ride on any of the previously mentioned public transport types. Paris taxi is the perfect choice if you don’t want to get lost. The taxi drivers are well-equipped knowledge of the Paris streets and you can be sure that you will reach the right destination. It is important to take a licensed Paris taxi as they have regulated taxi fare and you can be sure you won’t be overcharged. A visit to Paris can be an overwhelming experience, especially for first-time visitors. This is perfectly normal for a top travel destination as Paris which has so many must-see attractions and it’s very hard to choose only a few of them. Although sometimes is good to be spontaneous, don’t leave things by chance in Paris. Make a research and combine visits to nearby attractions on the same day so you will avoid long travel time and make the most of the day. Also, check if some of the attractions require reservation few days prior your visit. Getting off the tourist trail and exploring new places in Paris can be a real adventure. If you want to avoid the tourist crowds, Paris is full of hidden gems, whether it’s a historic site, art gallery or a restaurant. You can do an online research to see what other people discovered during their stay and recommend it to others. If you prefer to do things spontaneously, ask the locals to recommend a place to visit or the Paris taxi drivers. They know every part of the city and can be a good source of information. François, a driver from our Paris taxi office, recommends 5 secret spots in Paris you can visit. This guide wouldn’t be complete without a friendly reminder to learn a few phrases in French before your trip to Paris. There’s no better way to make a connection with the locals by speaking their language. Even a simple “Bonjour” and “Merci” can make a difference when you’re in a shop or a café. Also, it would be useful to learn how to ask for directions in case you get lost or how to tell the Paris taxi driver where to take you. Nowadays it’s easy because you can find everything you need online or download an application on your smartphone, so you can easily communicate with the locals. Although there is no straightforward answer how to plan a perfect Paris trip, following these tips can help you minimize the risk of things going wrong. Making a good plan will help you enjoy the city and make the most of your stay in Paris.